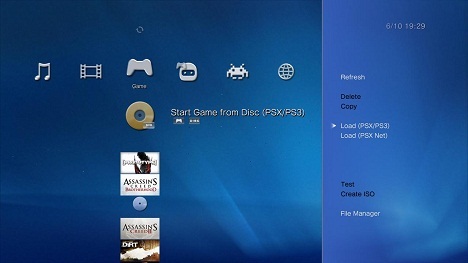 •You will see an animated icon in XMMB Game column, which you can use to launch your PSX backups. •To keep the same functionality as before you can turn on "Direct Disc Access" from XMMB Settings column. 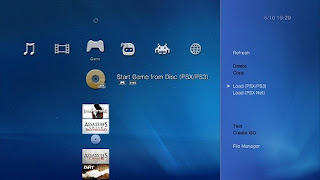 >>> When in Direct Disc Access mode you can rip BD movie discs, launch games, but you can't create backups of PS3 Game Discs. >>> Do not use "Direct Disc Access Mode" unless you really need it.